The first full-length album by 12 Followers and Meteo Xavier has been released! "Espers", by yours truly, is 8 tracks and one full hour of soundscape based new-age, ambient, world, and electronica music all rolled into highly complex soundscapes. It was started in April of 2009 purely as a need to get something done and go the distance. The choice to make it ambient and new age was a personal challenge I sought, as most electronic artists start out with some ambient dirge no one, not even themselves care about, I sought to one that broke that mold. My goal here was to do ambient soundscape driven music that didn't move but evolved, that had aural meditation but energy too, that fit many conventions but broke them at the same time. It was very progressively based and no song sounds like the other, ending on a deliberately counteraction with a 10 minute, melodic, solo piano to counter the sparse, electronic, colorful atmospheres that came before it. Considering my level of production at the time, and how many times this album tried to stillborn itself, it came out remarkably well, thanks to production creativity and genius by Zircon and the piano performance and interpretation skills of Michael Hwang, who performed that 10 minute piano track. I only wish now I could've had more resources to mix the production even better and add more stuff to some of the sparser songs (Tracks 2 and 5, respectively) and maybe that will be possible some day, but right now, this album, for a first-time attempt by an amateur, no-name composer with bad production tools, little if any training, major technical issues built purely on will power alone, is awesome, and I encourage you give me money for it. Actually, just $5.99 for the digital album on cdbaby.com gets you the MP3 album, free redundant copies if you break them or delete them or something (need to put your name and email at the time of the purchase so I know who you are), and if you want the CD quality .WAV masters, just hit me up here, I'll confirm your purchase on cdbaby.com and send them your way. 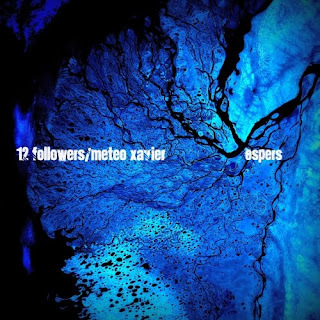 12 Followers/Meteo Xavier is currently a one man collective, semi-professional composer operating out of East Tennessee. I could not decide which name to go with as I was doing music with both, so I just combined them into one thing and hoped others would remember the name. I'm not sure what to write about without seeming pretentious and self-absorbed, I will just write that I'm driven by an obsessive need to create in any medium I get my hands on. In the music medium I'm largely inspired by prog-rock band Genesis and its offshoots, CUSCO, Motoi Sakuraba, Yasunori Mitsuda, Nobuo Uematsu and particularly Hiroki Kikuta. 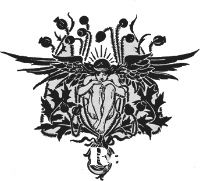 I am currently with Dope Records in Israel and the Wardriver Netlabel on Thasauce.net. I am also getting novels published under the name J.S. Lawhead and I hope you enjoy everything that I have to offer. 12 Followers/Meteo Xavier by Themebuilder | Blogger Template by Blogger Template Place - Blogger Templates Gallery. All rights reserved.